Pileje Neurobiane with the tryptophan, magnesium and vitamin B6 provides an effective response to stress and irritability. It is is recommended for irritability, impatience and mood swings. With the tryptophan, magnesium and vitamin B6 in Neurobiane, it provides an effective response to stress and irritability. When is it recommended ? 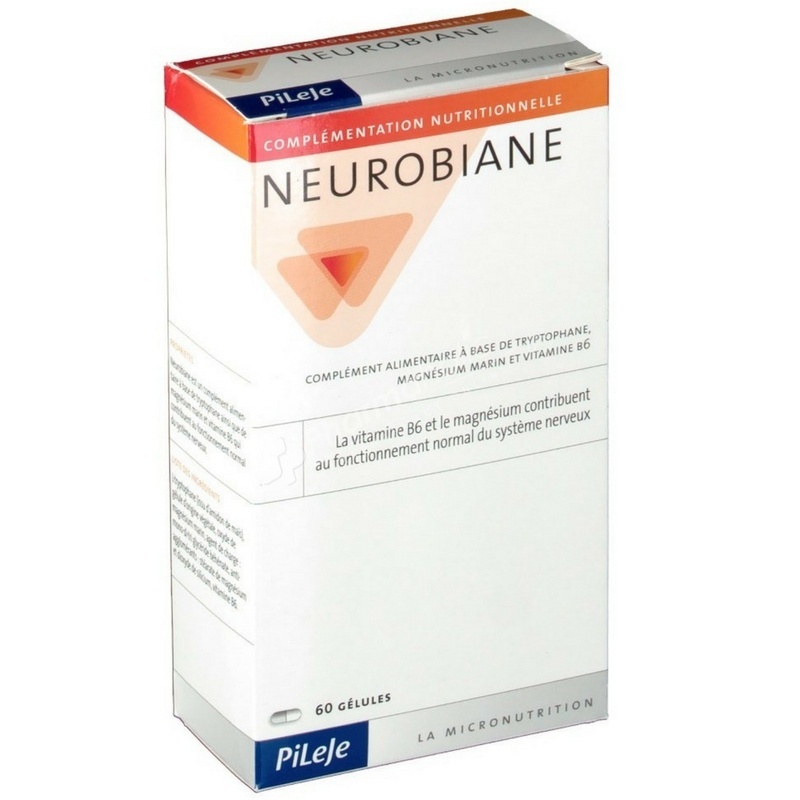 Neurobiane is recommended for irritability, impatience and mood swings. 1 capsule per day, preferably taken at the end of the day. Bulking agent : glucose syrup, L-tryptophan, gelatine capsule of plant origin (lubricant), magnesium oxide, rice protein hydrolysate, anti-caking agents : talc and magnesium stearate, vitamin B6.